SKU: 5J-AXG3-0QEM. Categories: Adrenal Support, Antioxidant, Brain Support, Digestion, Extracts, Men's Health, Mood, Sleep, Stress Relief, Thyroid, Women's Health. Tags: Adrenal Fatigue, Anxiety Disorders, blood pressure, Chronic Stress, Clinical Depression, Depression Disorders, Emotional health, GAD, General Nervousness, Generalized Anxiety Disorder, Grief, hormonal health, Insomnia, Low Serotonin, mental health, Mild Depression, Mood Disorder-Related Digestive Issues, Mood Swings, Post-Traumatic Stress Disorder, PTSD, Serotonin Disorders, Sleep Disorders, Stress Burnout, Trauma. Daily Stress & Mood Support – No Matter How You Mix It! I love this as a sleep aid. It doesn’t cause the strange dreams I get with Valerian Root nor the next-day drowsiness I often get from doxylamine (Nyquil, Unisom) and diphenhydramine (Benadryl). It smells like a billy goat, but I mix it with a cup of warm milk, a tablespoon of honey and a few drops of lemon extract, which makes a very tasty concoction. I very happy with the feeling of calm I m having. This is good stuff. Highly recommended if you live a high output lifestyle. Love the taste. Recently bought, so yet to see results! Are there natural alternatives and support for health of the mind? Mental health—including anxiety, depression, stress, and even grief and trauma—is one of the more overlooked aspects of wellness. For this reason, we don’t overlook any potential or possibilities in every single botanical ingredient we include in our formula. More importantly: each ingredient we select for inclusion must be supported not only by solid research and scientific evidence but also a strong body and background of evidence-based traditional use dating back thousands of years. 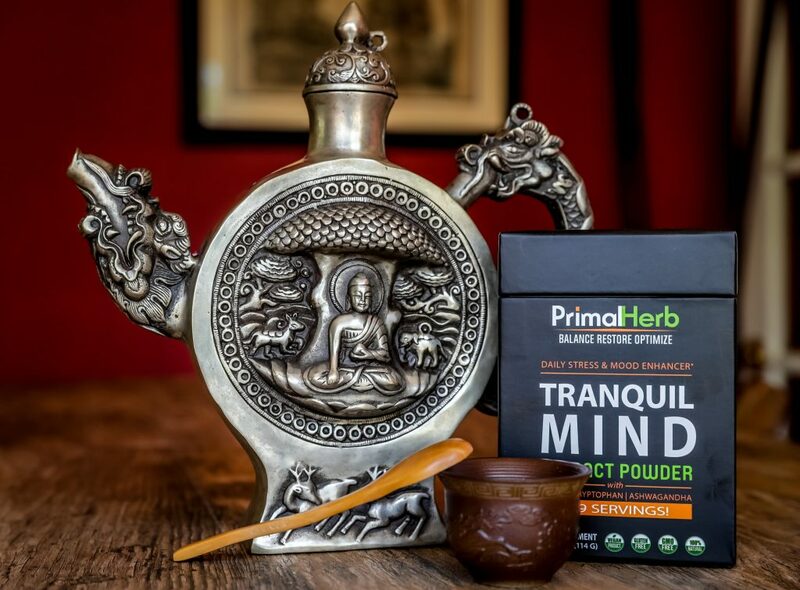 In the realm of stress relief, anxiety support, and even depression support, many herbs have been explored, both scientifically and experimentally. Many may work, but we only include the very best. This includes botanicals selected not only for how they are shown to possibly support symptom relief, but also for how they help strengthen the body to better handle and adapt to stress, which further reduces anxiety, stress, and sleep problems twofold. None of these herbal ingredients are proven or approved to replace doctor-approved or mainstream therapies for mood disorders. Instead, think of these ingredients as an extra shield or even additional nutrient support to help one’s flexibility, durability, and stamina when facing challenges to mental wellness and mood. Nothing effective in the world of stress relief and hormone balance could ever skip out on ashwagandha. A powerful root that is surprisingly closely related to tomatoes, eggplants, and peppers, it was an important part of the ancient healing practices in Ayurveda from India. One of nature’s richest sources of natural 5-HTP, this plant from Africa contains phytochemicals that closely mimic a very important neurotransmitter in our bodies that eventually gets transformed into serotonin. 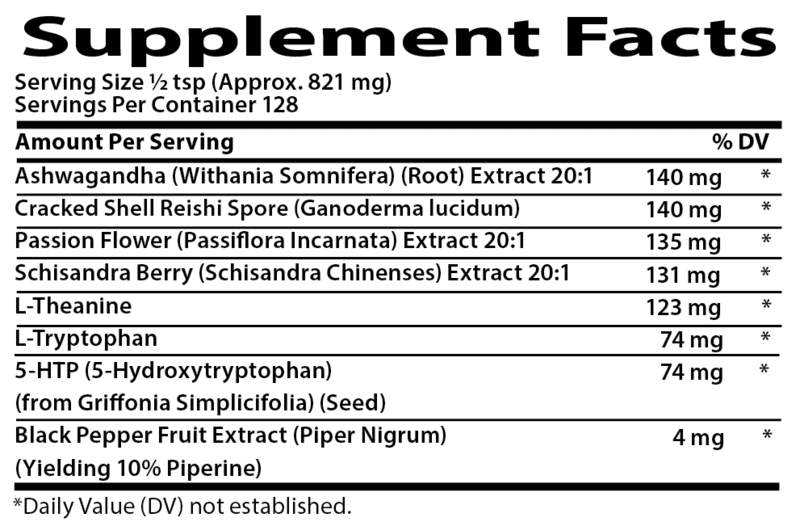 In fact, most 5-HTP supplements contain extracts directly from this plant. This medicinal mushroom provides an array of beneficial support. Reishi can support Anxiety and Depression; Breast cancer patients reported reduced anxiety and depression, as well as increased quality of life when they received reishi along with their cancer treatment. The group not receiving reishi did not report these effects. 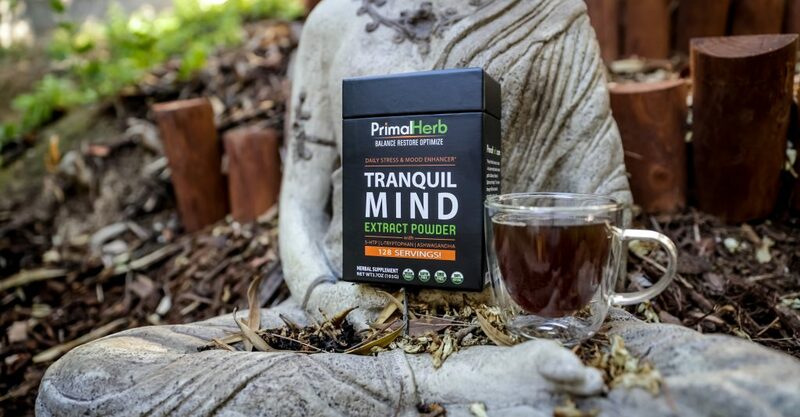 Another amino acid in our lineup ensures that the depression, anxiety, or stress-addled brain gets the optimum natural neurotransmitter support it could possibly get. * In the case of l-tryptophan, this chemical is found in good amounts in certain foods and promotes mild stress relief. In higher supplement amounts, however, l-tryptophan could have even more marked effects on mood and stress. * Our body needs this amino acid, but it can’t produce it on its own and might be especially scarce in those facing mood disorders. Along with 5-HTP and l-theanine, this is an herbal ingredient we include because we don’t feel it should be overlooked. A beautiful and evocative flower could be one of the best natural remedies for depression discovered in the herbal world thus far. Though it’s nowhere near being considered a replacement for antidepressants, studies nevertheless show that this blooming vine could have great promise one day. We recommend once daily, but it’s important to listen to your body and make adjustments! With three little kids 2 and under, I’m always looking for healthy ways to keep my cool. 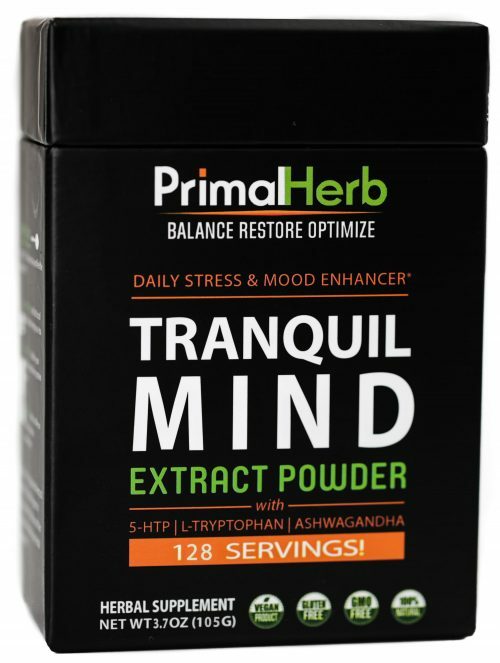 I’m a pretty wound up person, and most “calming” supplements have little to no effect on me, but Tranquil Mind is an exception. A little bit will take the edge of stress off, and a full serving makes me want to curl up and take a nap (which is wonderful, if I save the big dose for the end of the day). 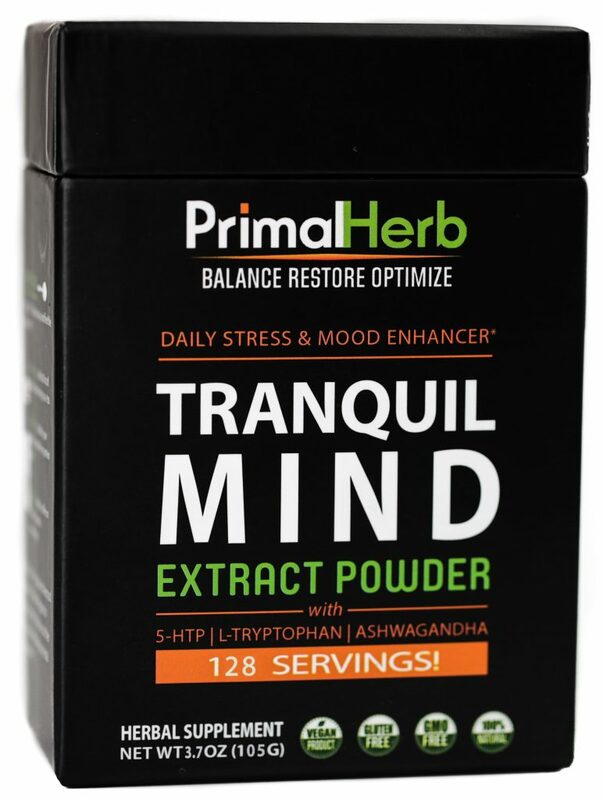 This is a great supplement for easing tension, and it’s very potent, so based on my experience I would say start with a small dose and see where you get before taking anything heaping or you may just want to nap. At first, I thought this seemed a pretty pricey, but now I see that a little bit goes quite a long way; with that in mind, it’s a much better value than you might initially think. I received this product at a discount in exchange for my honest, unbiased review. The calm I get from this makes it worth the splurge, and I will likely purchase this again at full price. If this has been in any way helpful to you, I would greatly appreciate a helpful vote below; thanks for reading.